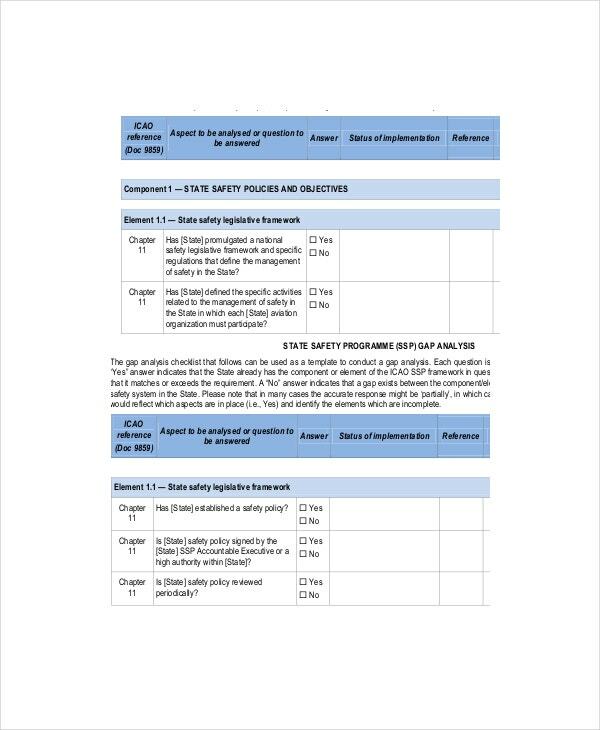 To have the appropriate means of getting the necessary steps in achieving a complete wellbeing of others is given by safety Gap Analysis Templates where you can take charge in taking change to make sure that all of your handled personnel and your assets won’t go wrong hands. It will assist any person of assuring the right methods and right people are in toll for preventing any unforeseen events from happening. 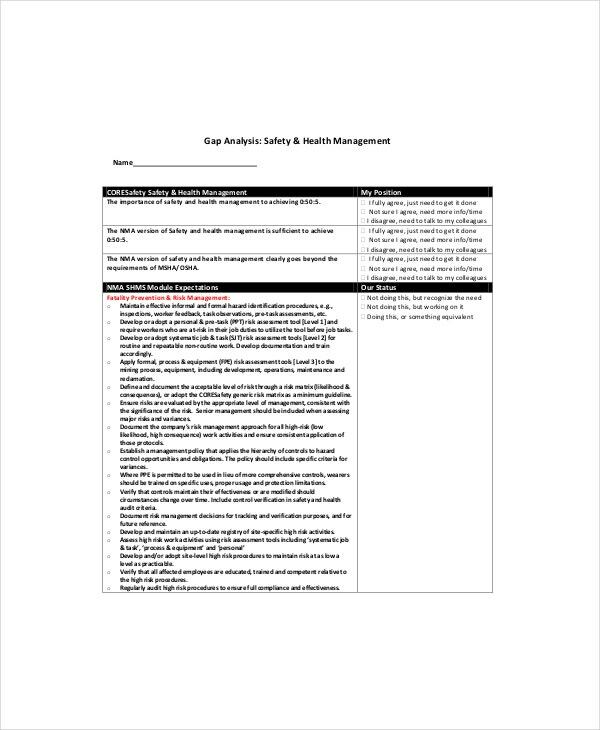 you may also see Analysis Templates. 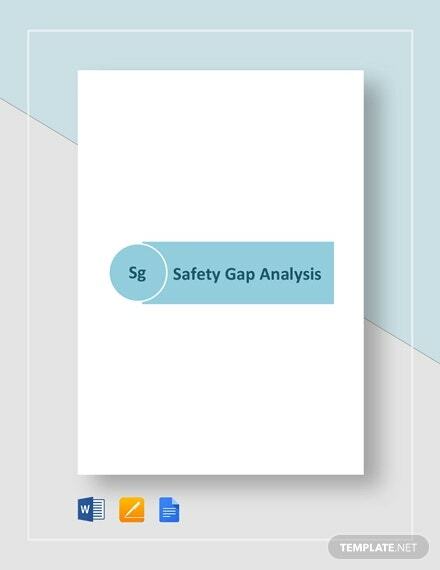 Safety gap analysis searched for problems that may cause harm or danger to any person or to properties of an individual then present in a worksheet that can assist in formulating a needs analysis. The performance of a person or standard of a material will be put to test if they meet the qualities that can safeguard anyone or anything from hazards which can be prevented in the first place. 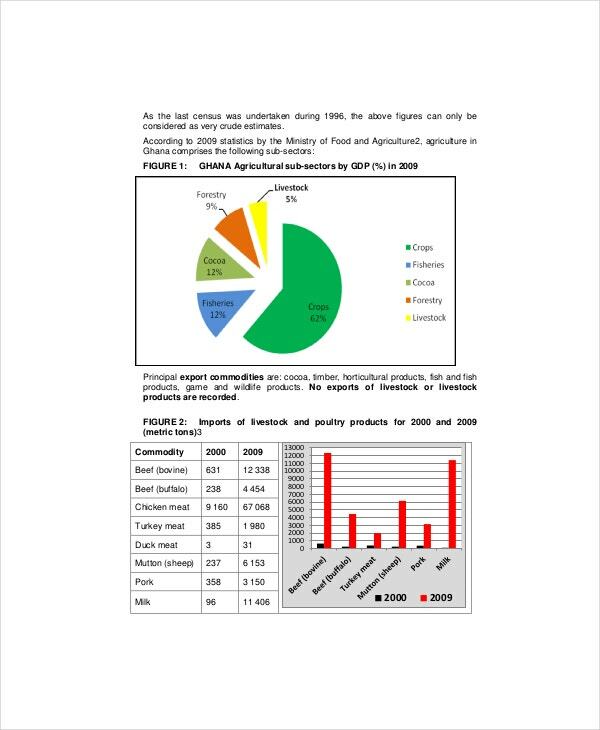 You can also see Word Gap Analysis Templates. Health is always a thing to keep in hands where many consider it as a wealth. Health and safety gap analysis will show the parts and steps to make sure that all people who lives or works in a facility will not be compromised by the danger or disease that is just close to them; they will be given steps by this analysis to make sure they will not be faced with problems in their health and safety at all. 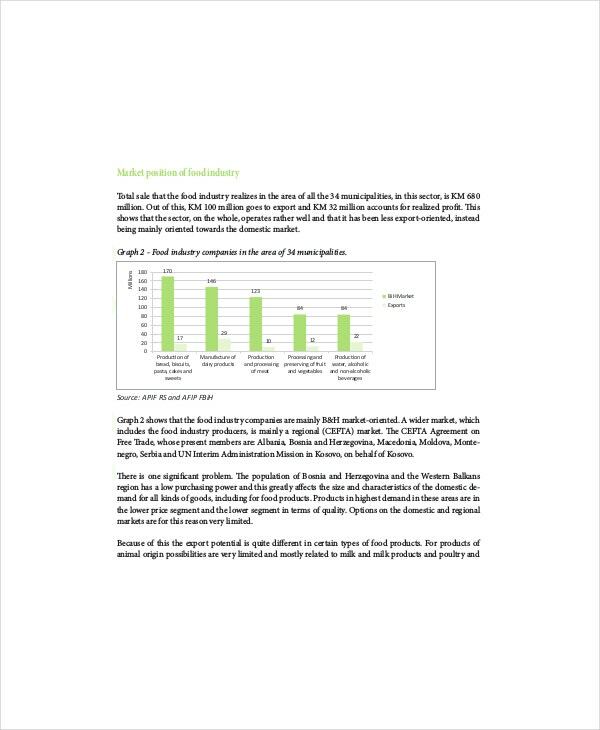 Food safety gap analysis will show any chefs or any cooking facility the factors that pose risk to their customers whenever they eat in their restaurant or food chain. Its main goal is to prevent any food borne disease affect any food from their preparation up to the time they are to be served to customers. All big facilities and buildings have undergone fire safety gap analysis where their place will be checked for any lapses when it comes to building design and equipment’s in order to prevent any fire from occurring or whenever there is a safety measures when a fire happens like fire exits and hoses etc. 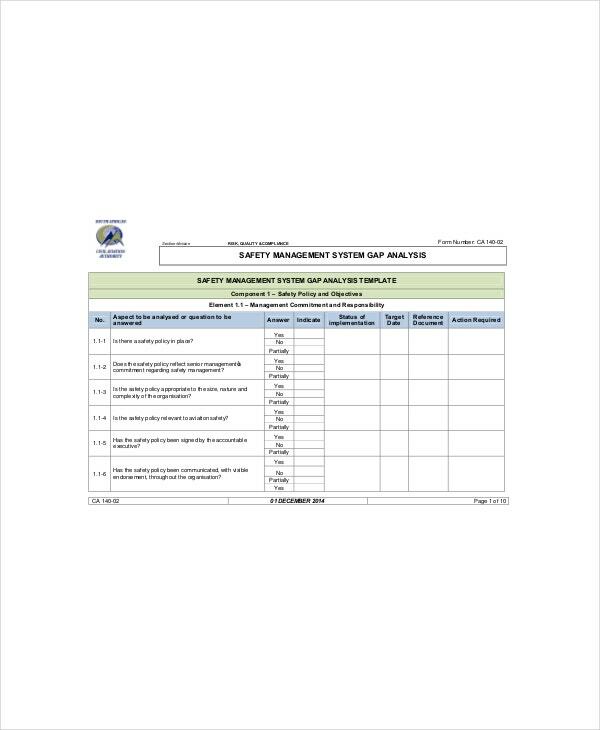 The checklist that is needed whenever there is a needed intervention to be made to comply with the safety standard implied by any accrediting group to ensure any place is safe from any danger from the people who will use it. It covers the personnel, machinery, protocols and the facility itself if it can provide a safe place to work or live. 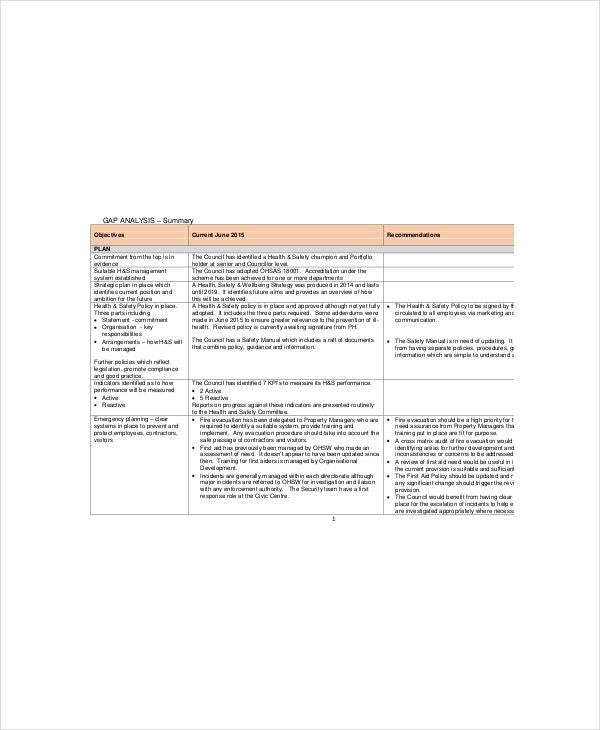 You can also see Healthcare SWOT Analysis Templates. Accreditation group and person in charge of the security of a place will use this to see if there are needed tools or personnel to take the job in maintaining the protection and wellness of all the person they cover in a certain place. You can also Analysis Templates. To avoid any suits or claims, this needs analysis is used in every facility or place where there are people working or living. The security of each people are always a priority as there are incidents where their life is always at stake when left unnoticed that’s why this tool is formulated to keep this from happening. First identify the subjects to be placed in safety might it be people or properties; check the procedure they are practicing are enough to make sure that all people living or working in a place are far from any danger. 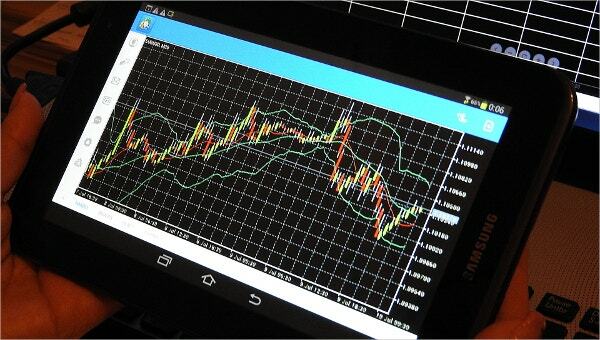 You can also see Sales Analysis Templates. Always follow the guidelines given by any government institution that has the standard protocol for keeping any person or property in safe place. It has higher success rate and can take cover of your well being as well as others; you can take the whole document in Microsoft word, excel and pdf file where it can be easily customized or edited.